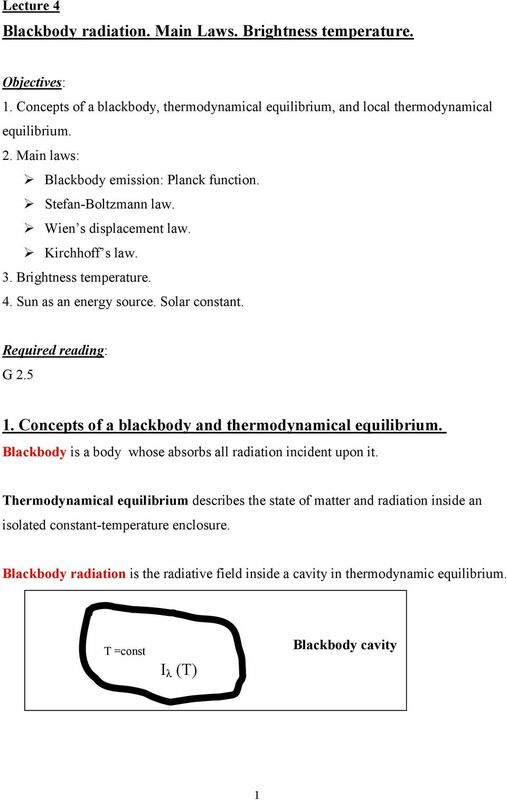 Download "Blackbody radiation. Main Laws. Brightness temperature. 1. 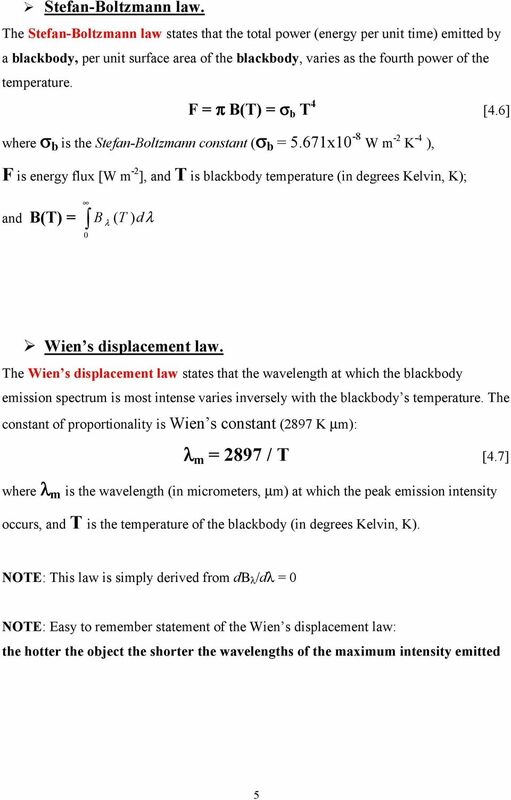 Concepts of a blackbody and thermodynamical equilibrium." 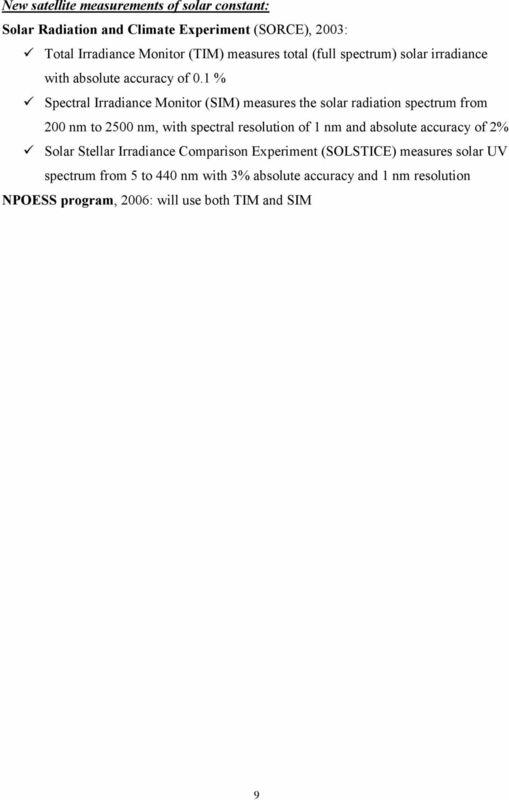 2 NOTE: A blackbody cavity is an important element in the design of radiometers. Cavities are used to provide a well-defined source for calibration of radiometers. Another use of a cavity is to measure the radiation that flows into the cavity (e.g., to measure the radiation of sun). 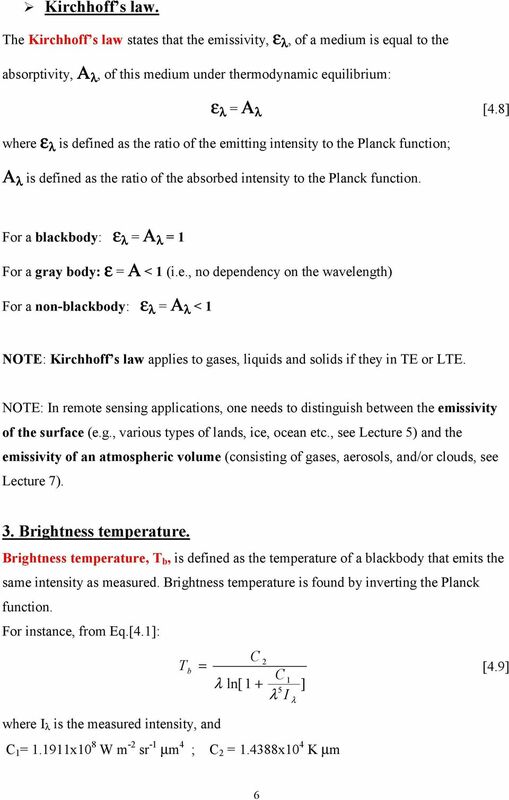 Properties of blackbody radiation: Radiation emitted by a blackbody is isotropic, homogeneous and unpolarized; lackbody radiation at a given wavelength depends only on the temperature; Any two blackbodies at the same temperature emit precisely the same radiation; A blackbody emits more radiation than any other type of an object at the same temperature; NOTE: The atmosphere is not strictly in the thermodynamic equilibrium because its temperature and pressure are functions of position. 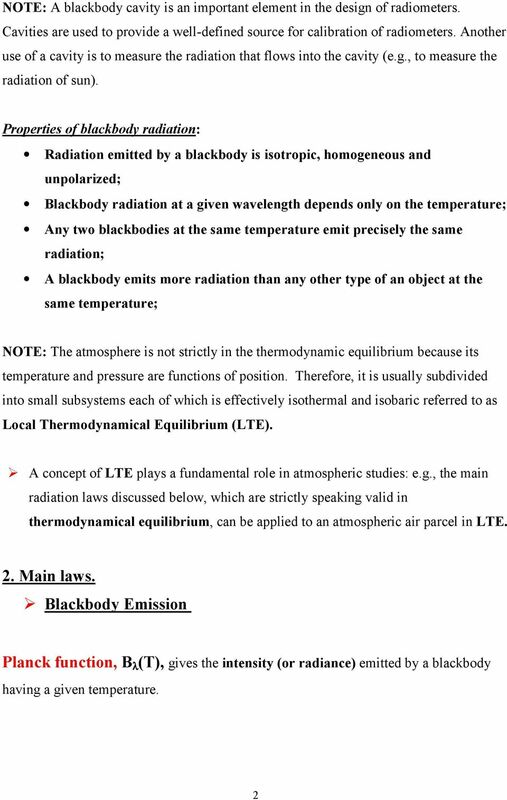 Therefore, it is usually subdivided into small subsystems each of which is effectively isothermal and isobaric referred to as Local Thermodynamical Equilibrium (LTE). 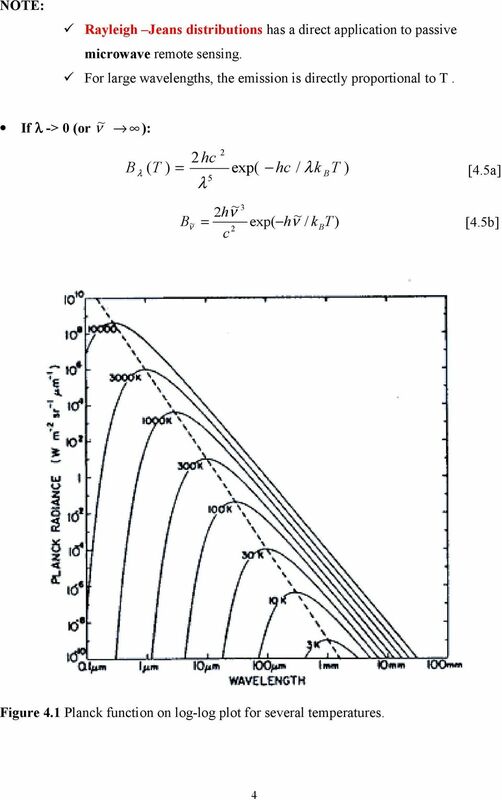 A concept of LTE plays a fundamental role in atmospheric studies: e.g., the main radiation laws discussed below, which are strictly speaking valid in thermodynamical equilibrium, can be applied to an atmospheric air parcel in LTE.. Main laws. 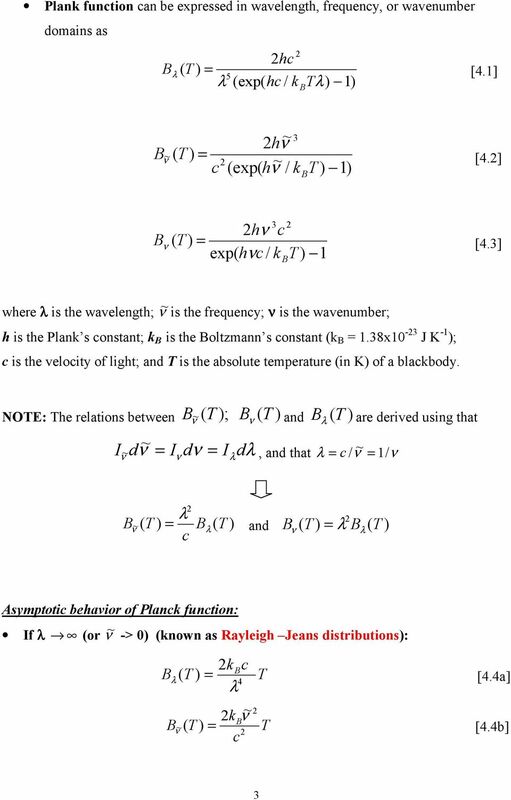 lackbody Emission Planck function, (T), gives the intensity (or radiance) emitted by a blackbody having a given temperature. 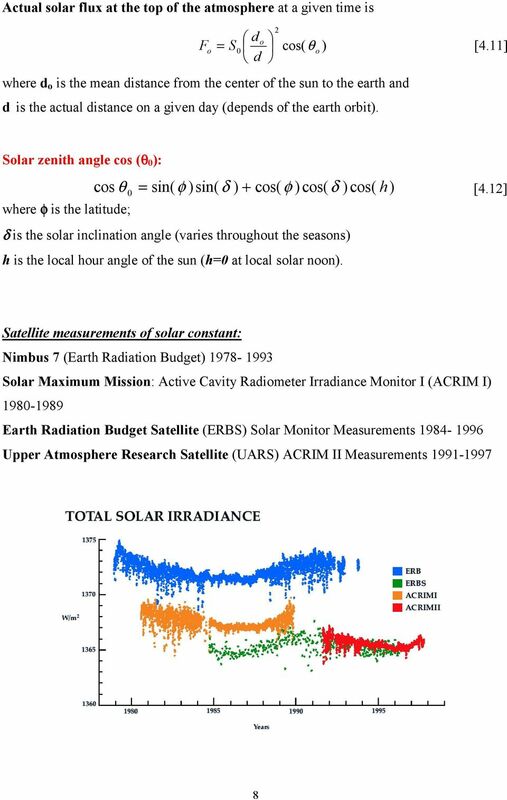 Rate Equations and Detailed Balance Initial question: Last time we mentioned astrophysical masers. Why can they exist spontaneously? Could there be astrophysical lasers, i.e., ones that emit in the optical? 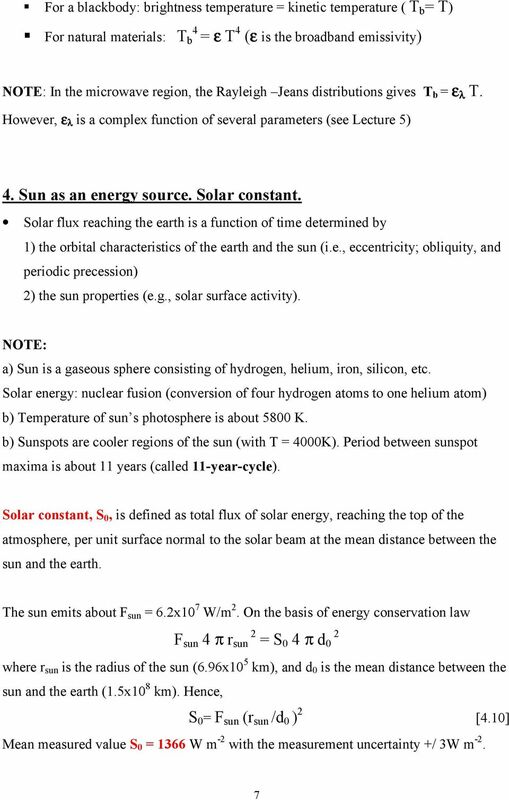 SOLAR ENERGY How much strikes the earth? How much can my building get? When is it too much?